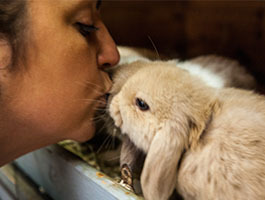 We know that rabbits are very popular pets - they become part of the family. That's why we know you want a rabbit that is in good health and great condition. 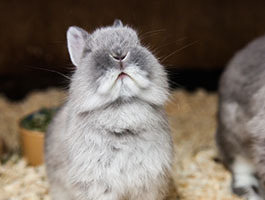 We breed rabbits ourselves and many of you will have seen our stunning mini lops which always attract big attention. 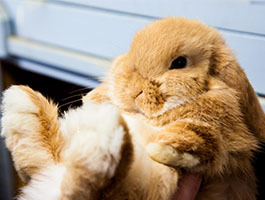 Along with the mini lops we also sell dwarf lops, Netherland dwarfs, dutch, lionheads and very cute mini lion lops. We do sometimes have other breeds available so please ask. We only sell pure bred rabbits, that way we know how big they'll grow and we can advise on the right size of hutch. Caring for a rabbit is much like looking after a cat or dog, they're just like proper family pets. I have been buying my pets and pet accessories from Paradise Pets for years. Very friendly people, and every animal I have bought has been healthy and well looked after by the team. Recommended. I purchased my Rabbit from Paradise Pets last year, and have gone back for a gerbil for my Daughter. Their animals are in great condition, and my dog loves their dog treats!